The Indonesian Navy (Tentara Nasional Indonesia Angkatan Laut or TNI-AL) is equipping its Kapitan Pattimura (Parchim I)-class corvette KRI Sultan Thaha Syaifuddin (876) with a Chinese-developed Type 730 close-in weapon system (CIWS). The matter was revealed on 22 July by Sultan Thaha Syaifuddin's commanding officer Commander Ario Sasongko during a communal breaking fast event on board the vessel followed by a traditional Indonesian ceremony to mark the start of fitting-out works. The Type 730 CIWS is a radar-guided cyclic seven-barrelled Gatling gun-style system primarily mounted as a defence against anti-ship missiles and other precision guided ammunitions. It integrates an EFR-1 tracking radar and an OFC-3 electro-optical sensor system on the weapon mount and is known to fire up to 5800 rds/min at distances of up to 3 km. The system can also be employed against unmanned aerial vehicles, smaller aircraft and lighter patrol boats. 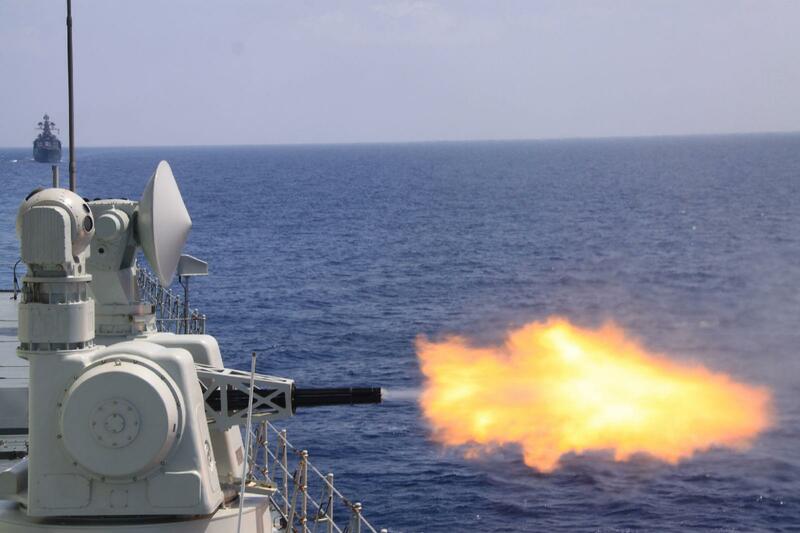 Variants of the Type 730 CIWS are currently fixed onboard the People's Liberation Army Navy (PLAN) warships such as the Luzhou (Type 051C)-class, Luyang I (Type 052B)-class and Luyang II (Type 052C)-class destroyers and Jiangkai II (Type 054A)-class guided missile frigates. Indonesian defence media officials told IHS Jane's on 24 July they were unable to name the variant that is being installed on the Sultan Thaha Syaifuddin. According to a statement released by the TNI-AL on 23 July, mounting of the Type 730 CIWS is being done following the successful installation of a new Chinese-developed SEWACO combat management system on the vessel. Sultan Thaha Syaifuddin is an ex-German Democratic Republic vessel, originally inducted into the East German Navy in June 1982 and re-commissioned into the TNI-AL in February 1995. The corvette is currently listed under the strength of the TNI-AL's western fleet (KOARMABAR). KSAD tak pernah sebut SBY "kapal karam"